Ocean Scientific International Ltd. (OSIL) teamed with ASV Ltd. to offer a low-cost, mobile alternative to a permanent moored buoy system for monitoring. The system uses one of the ASV C-Stat station keeping buoys which can be deployed for up to four days at a time, running either on hybrid diesel, or full electric power, and can be programmed to remain in position with a set watch circle, shadow a vessel, or follow a set patrol route, allowing data to be gathered over a much wider area than could normally be achieved with a fixed point buoy. 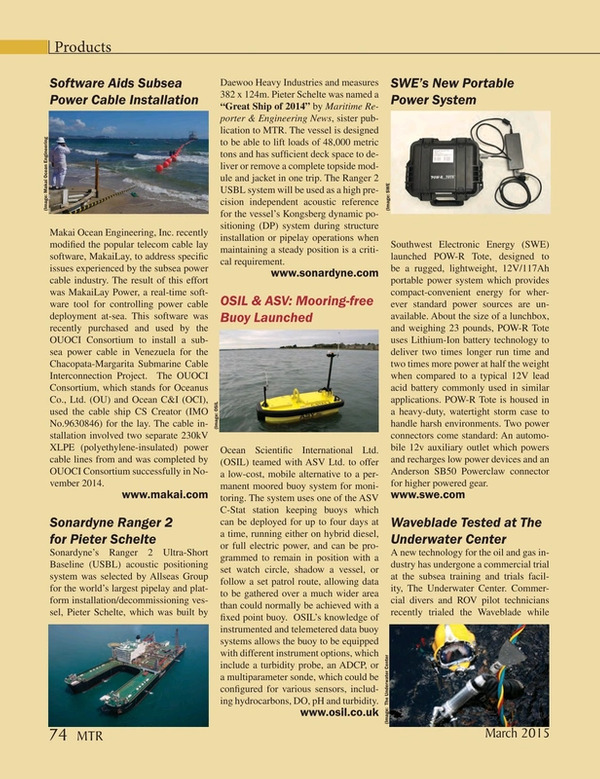 OSIL’s knowledge of instrumented and telemetered data buoy systems allows the buoy to be equipped with different instrument options, which include a turbidity probe, an ADCP, or a multiparameter sonde, which could be configured for various sensors, including hydrocarbons, DO, pH and turbidity.